The next market crash must be coming. We are already in our second correction of the year and having lived through the past two bear markets, it seems obvious that the next one will involve a major decline just like they did. So it is probably time to de-risk my portfolio or raise lots of cash so I can avoid the worst of the inevitable decline. While I am on the topic of risk, emerging market stocks have been a disaster this year. I heard Jeremy Grantham talking about how incredibly cheap they were and how expensive US stocks were at the beginning of the year, but in this case “cheap” has meant 20% underperformance vs. the US this year. And it gets even worse if you look at the last 10 years. Emerging market stocks are still over 30% below their 2008 highs. It will be impossible to make that lost decade up. And don’t even get me started on value stocks. These are just a bunch of companies being destroyed by technology that have no future. They haven’t worked in the past decade and they aren’t likely to work in the next one. It may not surprise anyone who reads my articles when I say that I don’t think any of the things I mentioned above are true. But I still hear them from investors all the time. The reason is that when we look at history, we all tend to put much more weight in the things we have experienced than those that we have not, and we put an even greater weight on things we have experienced recently. An investor who has been investing the past 20 years has seen two bear markets. Both of them included declines of over 40%. Based on that, the tendency is to think that the term “bear market” is synonymous with that type of decline. The tendency is to think that the only type of bear markets that occur are the ones you have experienced yourself. The reality, though, is that all bear markets are different. The major declines we have seen in the past two are actually the exception rather than the rule. Take a look at this chart from an excellent article Ben Carlson wrote on market declines in late October. 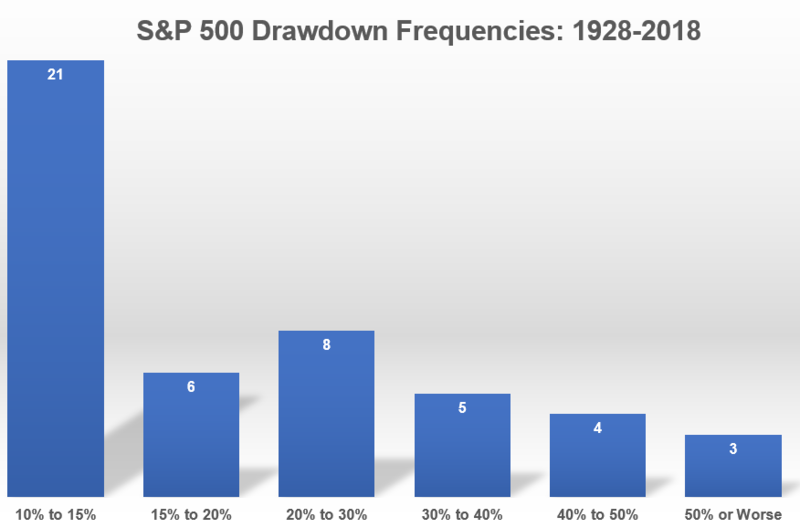 Of the 47 ten percent or greater drawdowns that have occurred in the S&P 500 since 1928, only 3 have been greater than 50% and only 7 have been worse than 40%. Using base rates, that tells us that the odds that a 10% drawdown will eventually turn into a 40%+ drawdown are about 15%. But for an investor who has seen that 15% chance become reality twice in their 20 year investing career, that chance will appear much higher than it actually is. Even if you take out the corrections and only look at bear markets, you still reach a similar conclusion. Ben found that once stocks reach bear market territory (a 20% decline), the odds are still 65% that the eventual decline will not exceed 40%. This isn’t to say that we may not see a decline of that magnitude this time. That just isn’t what the odds say will happen. Our reliance on what we have actually seen in our own experience clouds our judgement about what the most likely outcome is. If you look at all bear markets historically instead of just the more recent ones, it opens up a much more comprehensive set of options to find parallels with the current time. For example, Ray Dalio has spoken often about the similarities he sees between the late 1930s and today. In that case, the market was coming off a huge rally following the Great Depression. The Fed tightened monetary policy at the same time government spending was cut. This led to another bear market (albeit one much smaller than the Great Depression). There are obviously many differences between that period and today. The Fed has learned a lot about proper monetary policy since then, and government spending is going up today, not down. But if you are looking for comparisons to our current situation, the 1938 bear market may be better to look at that 2008 or 2000. It isn’t just bear markets where we tend to overweight our own experience. We also do it with respect to what we should hold in our portfolios. 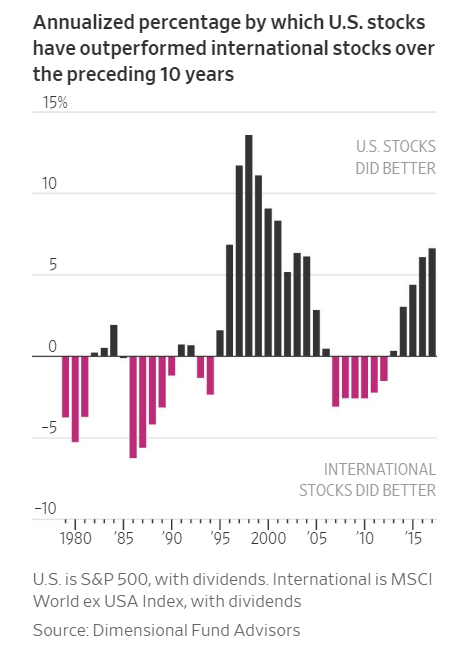 The data that supports investing in international stocks is compelling. They have provided significant diversification benefit over time and have offered support during many periods where US stocks have performed poorly. That hasn’t been true in the past decade, though, and as investors, we tend to overweight that recent data and ignore the long-term data to our own detriment. The same is true for value investing. It also hasn’t worked in the past decade, but it has generated substantial outperformance over much longer periods of time. My goal here isn’t to say that international stocks and value stocks won’t continue to struggle in the short-term. It also isn’t to say that the current decline won’t end up in a 50% loss. All of those outcomes are possible. They just aren’t probable. The overarching point here is that in order to make the best decision about the probability of any future outcome, you need to look at the whole picture, not just the part of it you have seen personally. 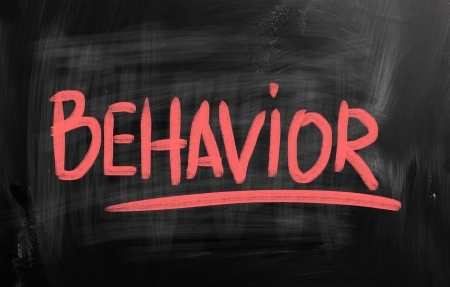 If you can do that, you are likely to a achieve a much better understanding of any situation you encounter in the investing world. 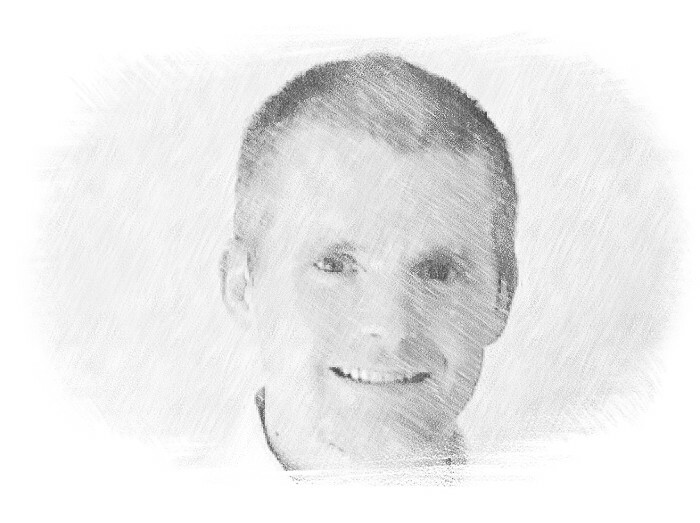 Jack Forehand is Co-Founder and President at Validea Capital. He is also a partner at Validea.com and co-authored “The Guru Investor: How to Beat the Market Using History’s Best Investment Strategies”. Jack holds the Chartered Financial Analyst designation from the CFA Institute. Follow him on Twitter at @practicalquant.